News on the site. Is updated to fit ure notifications. Only admins or moderators are aloud to post news. Basic use of the forum. Mostly for the new members or people who never have been on a forum before. Check it out. All members please introduce yourself! If your going fishing or just returning from a day on the lake, be sure to keep us posted on how you did! Anything that helps you pull fish out of the water! Write a review for any type of product, or you may request one as well. If you ever dont know where to go fishing, our members should have some recomendations. Tell us ure favorite fishing stories! Any thoughts, advice, or any information you have about boats and trailers can go in this forum. trolling motors, fish finders, Anything eletronic or battery operated goes here. Share or ask questions about recipes,cooking, or filleting the fish. 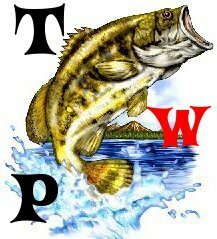 Any questions, advice, or stories about bass fishing should go in this forum. Tips or questions about trout go in here. Questions, advice, or anything else regarding panfish should go in this forum. Tips and questions about these species. Tips and questions about walleye. Tips and questions on these species. any tips, questions, or thoughts about saltwater fishing should go in here. Tips or questions about offshore saltwater fishing. Tips or question about inshore saltwater fishing. tips and questions on other saltwater species. See what tournaments are available, or add one. off topic. You must have atleast 15 fishing points to post in this section.